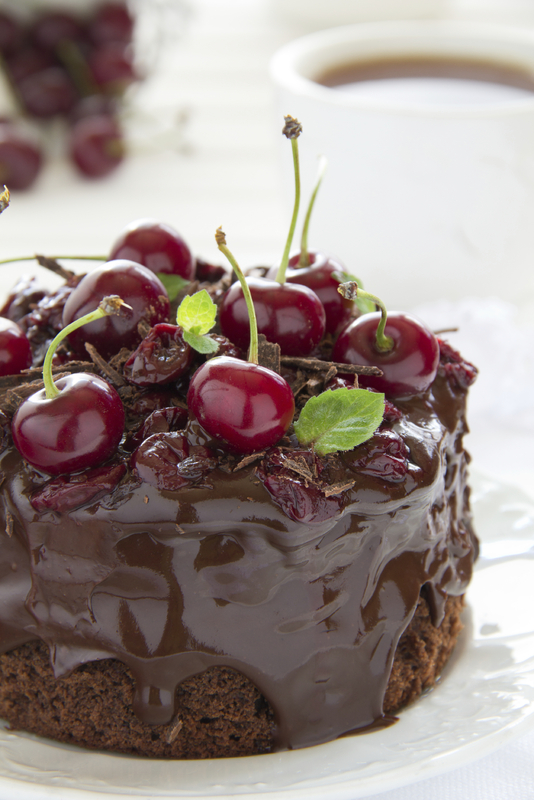 Information Literacy – the cherry on the lifelong learning cake? The cherry on the top is that most desirable feature which is perceived as the finishing touch to the gateau that is already wildly extravagant. (Personally, not my cup of tea if a maraschino cherry, I prefer them to be robust and freshly gleaned, much like my research articles.) Speaking of which, my research to establish solutions and locate supporting data for the questions I originally posed in my post, “Inquiry Based Learning – the Million Dollar Question”, has coalesced elements of the three questions I originally posed. This has resulted in my research taking a new direction towards the relationship between Information Literacy (IL) and lifelong learning. Pursuing this new direction provided the icing on the cake of ‘AHA moments’, with the realisation my foci for Inquiry Based Learning (IBL) are supported by the principles of IL and how the acquisition of IL skills provides support for both current and lifelong learning. Does this mean I can have my inquiry cake and eat it too? Not just yet! I’ll save the research kilojoules or in this case the measure of my research energy for the final essay. To this end, I’ve selected the following eight articles and reports as the research ingredients of this annotated bibliography. To guide my review I implemented a selection of the following criteria – background and significance, readability, context, research, coherence and graphics – in order to establish the functionality of theses papers. Now, sit back with a cup of your favourite beverage and a slice of a decadent gateau, avec cherry, and experience the degustation of the helical relationship of Information Literacy and lifelong learning. Bruce, C., Hughes, H., Somerville, M.M. (2012). Support Informed Learners in the 21st Century. Library Trends 60(3), 522-545. In order to realise the potential of our information society, Bruce et al explore an individual’s capacity to evolve and transfer their methods for locating, accessing, analysing and evaluating information as an imperative for informed learning. A clear definition of the term (informed learning) was explicated (p.524-525) in order to demonstrate the critical nature of informed learning in the 21st Century. In positioning informed learning, as it is experienced in educational, work and community environments as the focus of this study, the authors supported their position by conducting a broad literature review. In consideration of the aforementioned environments, the authors noted IL is a political and social tool and coherently argued their position with evidence from international and national bodies e.g. UNESCO. The argument for the politicising and socialising of IL was concisely demonstrated, in a tabulated format, by aligning the eight criteria of experiences of informed learning to members active in the three environments i.e. scholars, workers and citizens (p. 527, 530, 532). Bruce, Hughes and Somerville acknowledged the transitional and superimposed nature of these alignments within the limits of these three areas. However, by clearly establishing the experiences of informed learners within these sectors, this information can be applied within various contexts across a population. Likewise, these experiences can be employed to develop tasks and processes for successfully formulating a pedagogical schema for educators and trainers operating across these and other sectors. To endorse Information Literacy, not as an alternative or add-on to current pedagogically praxis, but as an imperative in the current information society, the authors proposed nine policy principles to adapt and implement according to the context. These principles give a clear direction for policy makers, educators and trainers when contextualising IL to any environment where formal and informal learning transpires. Of the eight articles contained in this annotated bibliography, I consider the element of informed learner to be a major determiner in the relationship of IL and lifelong learning. I would go so far as to say this concept is the cherry on my research cake. I don’t make that statement lightly when considering information I have located in other references in this bibliography. Considering both sides of the argument that IL is a political and social tool proffered as a panacea for societal and personal afflictions, Bruce et al proposed a comprehensive framework to guide policy direction in various contexts. I noted their inclusion of informal learning occurring within any context, and I intend to pursue this topic as an element of my research. The location of learning in our current technologically driven information society is critical for the adoption and implementation of the principles contained in this framework. These principles have enabled me, as an educator and learner, to adapt the author’s framework to assist students to become informed learners. Developing an understanding and methodology for application of this concept provides me with a powerful tool for future implementation of IBL in language, literacy and numeracy (LLN) programs across Technical and Further Education (TAFE) Queensland sites. In this annotation I am considering only two aspects from this report, firstly, the five Learning and Education Recommendations (p.11-14), and secondly, the six propositions proffered by Drs Barbara Cambridge and Penny Moore (p.31-39). Both the recommendations and propositions are supported by sound arguments and evidence which posit the centrality of IL as a key requisite for community members to develop inquiring habits to support lifelong learning behaviours. To this end, actions to develop stakeholders’ awareness, at all levels of an educational system, were inclusive in each recommendation. The recommendations and supporting actions emphasised the development of pedagogical practices which specifically address the needs of particular groups, examples given were indigenous populations, women, special needs, immigrants and prisoners (p.12). Propositions – 2, 3 and 4 – reflected the need to explore and implement pedagogical practices which embed IL as essential elements in both formal and informal learning. Cambridge argued the key to improving learning outcomes was to adopt the Empowering 8 elements. Individual’s implement these eight actions to assess their success in terms of both personal needs and the process undertaken. This is a concise model which educators can put into practise with learners and it provides clear scaffolding for engaging individuals in lifelong learning. My interest in this report was generated by references located in Jacobs’ article. I realised, while reading this and other articles, I did not have a well-grounded understanding of how Information Literacy is viewed from national, global and historical perspectives. This report discussed lifelong learning as a parallel yet dependent mechanism of a learner’s acquisition of Information Literacy skills. For me, the voluted nature of these elements raised such questions as: How does an individual attain IL’s subset of skills? How will policy affect both access to and acquisition of these skills? What agencies or organisations overtly provide support for IL? Do members from all levels of the education sector acknowledge or understand the importance of embedding IL within their programs? I located answers to some of these questions in Cambridge and Moore’s propositions. Overall, this report presented the opportunity for me to effectively position IL as a precursor to both informal and formal learning. The strong relationship demonstrates the necessity for me, in my current role as an educational consultant within TAFE Queensland, to propose and deliver professional development opportunities for LLN teachers to gain an understanding of pedagogical practices which engage and support IL as a mechanism to encourage and sustain lifelong learning in both formal and informal learning contexts. Gunasekara, C.S., Collins, S. (2008). Information literacy as a framework to foster lifelong learning. In: Lifelong Learning: Reflecting on Success and Framing Futures: 5th International Lifelong Learning Conference, 16-19 June 2008, Yeppoon, and Central Queensland. Gunasekara and Collins’ conference report outlined their research objective as a pilot study to present a strategy for embedding information literacy in an Operations Management subject within an academic learning environment. The authors’ graphical outline of how they employed the Australian and New Zealand Information Literacy Framework (ANZIL) as the main design principle was authoritative and concise. In order to foster and enrich learning experiences within this conceptual framework, Inquiry Based Learning methodology was the foundation for the study’s trial. Pre and post questionnaires were administered to measure students’ ability to interpret information needs. Without examples of the questionnaires’ structure it was difficult to establish the validity of the tests. At no point did the authors describe the study sample e.g. the year level or prior experience, or the results for the questionnaires. However, the authors noted a more detailed paper discussing test results was planned. Lecturers, librarians and tutors collaborated at each phase of the study and this approach was strongly supported by feedback from the participants. Overall the findings of the study indicated that students responded positively and believed the discipline faculty and librarians had prepared them effectively for this methodological approach. It was noted that feedback from a small percentage of students (numbers not recorded in the article) were concerned about the level of independence required and were unhappy with the limited structure for the duration of the study. The authors’ final recommendation, based on the results and the literature current at the time of publishing, of a collaborative model embedding IL in sequential inquiry programs was required to prepare students for lifelong learning within various contexts. It was refreshing to read an article which reflected practices within an Australian tertiary educational environment (Queensland University of Technology). The collaborative practices discussed in this article prompted me to approach a TAFE Brisbane liaison librarian who supports LLN students attending a large metropolitan site. Her input and work with the students in an IL orientation session was invaluable. Informal feedback from several students has indicated their support of this action, which corresponds to feedback from the study. Providing scaffolding is imperative when implementing IBL, and the authors reinforced this aspect in the ANZIL Standards’ table which related tutorial activities and learning outcomes to each standard. In my opinion, the tutorial activities actively address the underpinning skills of IL and could effectively be aligned to any adult learning situation. Overall, the processes of this study could be adapted for LLN learners. From my teaching experience, engaging this cohort in meaningful and adult relevant tasks has resulted in highly motivated and fully engaged learners. I do acknowledge, as evident from some student feedback, it is necessary to provide scaffolding during all phases of learning tasks to support learners’ skill acquisition throughout the process. Horton, F.W. (2007). Understanding Information Literacy: A Primer. Paris, France: UNESCO. In this publication Horton aims to clarify, in non-technical terms, Information Literacy (IL) as a 21st Century paradigm. The audience for this article is decision makers at all levels of – government, education, Information Communication Technologies (ICT), commerce, not-for- profit organisations and executives from the private sector. The author proficiently demonstrates the connectivity of IL and lifelong learning by allocating actions to four abilities – self-motivation, self-direction, self-empowerment, self-actuating. These abilities are seamlessly linked to survival literacies – basic core competencies, computer, media, distance/e-learning, cultural, information – which in turn are dove-tailed into Horton’s “Eleven Stages of the Information Literacy Life Cycle” (p.8-13). In Annex B of the publication, Horton adeptly establishes the parameters of this model through formulating a schematic illustration addressing – human resources, tools and techniques, domains and contexts, desired outcomes and possible negative outcomes – across each of the eleven stages. In support of the model, Horton also introduced the key recommendations from the Alexandria Report (2005) to posit the publication in an international context. However, the author’s expansion of the actions relating to the various recommendations offers greater choice for implementation across multiple domains. To assist the nominated audience in grasping the enormity of this endeavour i.e. creating policies for the development and ongoing support of IL as an integral component of lifelong learning, a glossary and list of abbreviations and acronyms were included. Horton’s publication was one of the earliest resources I sourced and found the content to be concise and highly readable. I was able to establish the relevance of IL within different contexts and could position these within governmental objectives in order to establish societies of lifelong learners. In particular, I recognise the functionality of the Information Literacy Life Cycle schematic illustration as an adaptable tool for both policy makers and educators alike. In my opinion, the practicality of the Life Cycle schematic illustration was supported and strengthened by Horton’s elucidation of the various literacies encountered in daily living. The aforementioned elements of this publication support my research and work project regarding Project Based Learning. Jacobs, H.L.M (2008). Perspectives On…Information Literacy and Reflective Pedagogical Praxis. The Journal of Academic Librarianship, 4(3), 256-262. The intention of the author was to interpret and propose a pedagogical schema for Elmborg’s (2006) challenge to librarians, to construct a critical and theoretically informed praxis for Information Literacy. Jacobs capably addressed this objective through an extensive literature review which included the deconstruction of IL definitions as accepted by national and international bodies and contained in international documents e.g. Association of College and Research Libraries (ACRL) and the Alexandria Proclamation on Information Literacy and Lifelong Learning (2005). The author conceded the goals of IL, as established in the Alexandria Proclamation, are larger than any single librarian or library could contemplate. However, Jacobs effectively employed components from the Proclamation’s proposals to strengthen her arguments that librarians’ acquisition of pedagogical theory must be grounded in an understanding of broader educational enterprises occurring within various contexts which lead to lifelong learning. She lightly touched on Paulo Freire’s theory of problem-posing education as a theoretical basis for students to experience personally relevant information, and directly related this to Lee and Stenberg’s model of reflective thinking. The author suggested this as an option for librarians adopting and implementing pedagogical theory. Jacobs’ conclusion demonstrated the methods she applied to accepting and accomplishing Elmborg’s challenge to librarians. However, the comment that librarian’s multifarious work is a catalyst for them to lose sight of the broader impact of IL opposed the conviction of her arguments and circumscribed the objective of the article. In my opinion, Jacobs sublimely rose to Elmborg’s challenge and presented highly relevant and interconnected arguments which definitively support librarians developing a pedagogical schema to scaffold IL resulting in lifelong learning. To assist librarians with metamorphosing from the hallowed image of information gate-keepers to collaborative partners in the learning process is a recurrent theme in the literature reviewed in this bibliography and further afield. From a learner and teacher’s perspective I can only encourage the collaborative engagement of librarians across fields on investigation. The central issue of this article, for me, was the community of practices’ vehicle. Introducing this theory and examples had me drawing multiple Venn Diagrams as a demonstration of practices, resulting in the clarification and connectivity of librarians and the learning public. These diagrams also assisted me in listing strategies to construct a strong working relationship with librarians in TAFE Queensland, for example, develop units of work in consultation with librarians, utilise work observation as a pathway for students to interact with librarians on a more familiar basis. Overall, Jacobs’ article presents an holistic and scaffolded theoretical argument to librarians for developing a pedagogical schematic to support Information Literacy. Leong, K. (2007). Information Literacy and TAFE: challenging librarian and teacher collaboration in the VET sector in a TAFE Institute. In this article, Leong aims to identify what Technical and Further Education (TAFE) teachers understand by Information Literacy and how their perceptions impact on both their teaching and collaboration with library staff. To support her argument, Leong conducted a limited literature review (14 references-of which one author and publisher’s name were misspelt) selected from a range of fields. Overall, the selected literature corroborated the author’s theoretical position and the study’s aim, and were relevant and current at the time this article was published. Data for this study was obtained through conducting interviews with a limited sample of four participants. At no point did the author clarify whether the interviewees were teachers or librarians, nor did Leong state from which geographical area, vocational field or TAFE site/s the interviewees were drawn. Leong adopted a phenomenographical stance to analyse the data and results supported the initial aim of this study. The main limitation of this study is the findings drawn from the data. Though they may support the author’s hypothesis and relate to the literature, the sample size is restrictive and to some extent unknown, thereby placing the results in question. Upon locating this article and reading the abstract I had cause to be excited. This was the first article I located which addressed the sector, in which I work, and it simultaneously considered how Information Literacy is perceived and delivered by both teachers and librarians attached to the TAFE sector. The findings reported in the abstract promised much, however, further investigation revealed the limited nature of the study. I have not discarded this article though, as Leong’s conclusion strongly addressed the purpose of the study and there are arguments e.g. the need for teachers and librarians to integrate IL across a broad range of programs delivered by TAFE, which directly relate to the third question I originally posed and am still investigating aspects to establish the scaffolding LLN clients require to develop in order to successfully participate in learning. Drawing this point to my attention has redirected not only my research, but the development of a work project to disseminate IBL across TAFE sites in Queensland. The author’s purpose for Chapter 2 was to define the concept of Information Literacy (IL) as a socio-cultural practice. To this end Lloyd conducted an extension literature review (40 references) which demonstrated the positioning of IL as a catalyst for both formal and informal learning across three contexts – education, work and everyday living. These contexts directly relate to information landscapes which were distinctly defined as created spaces where a sharing of information through human interactions produces knowledge. Lloyd extended her discussion to practice theory to posit both formal and informal learning within communities of practice i.e. the aforementioned contexts. Central to the purpose of this chapter is the understanding that the construct of communities of practice is directly related to information literacy as a socio-cultural practice. The author noted these communities facilitate access and dissemination of various types of knowledge e.g. oral or text orientated, on a sliding scale i.e. who have or can gain IL skills. It was acknowledged by the author, that within these context people move through different phases of learning – novice to expert – and to this end a framework, based on IL, was imperative to provide support for this progression. The main ideas discussed throughout the chapter, enabled Lloyd to concisely summarise her position in the conclusion. Lloyd clearly articulated that it is only through people becoming information literate that they can access opportunities to engage with implicit and explicit information within any landscape. Refocusing my research has, in no small part, come about by Lloyd taking me on an unexpected journey. The depth of research and Lloyd’s ability to elucidate her arguments, demonstrated her profound understanding of the topic. Through connecting information landscapes to both practice theory and Constructionism, I could clearly distinguish a framework for supporting adult learners engaged in language, literacy and numeracy (LLN) programs in TAFE Queensland. Through informal discussions with a number of these learners, I have established that their lack of IL skills leaves them in a highly vulnerable position when endeavouring to access information which can support them in attaining goals or meeting their needs in a specific context. Acquisition of these skills would position this cohort of learners as lifelong learners, thus enabling them to access and transition through the phases of learning across numerous information landscapes. It is the concept of lifelong learning, in conjunction with IL, which is now the major focus of my research. The central focus of this study was to redefine Information Literacy from a formalised academic model to a collaborative inquiry model by involving all stakeholders i.e. faculty staff, librarians, students and external bodies, and taking into consideration the readily availability of technology. The authors justified their arguments from a strong theoretical base provided by a broad range of researchers in the fields of IL and workplace learning (e.g. Travis, Kirton, Barham, Beetham and Dabbagh). Monge and Frisicaro-Pawlowski’s discussion centred on the styles of learning experienced in both educational and workplace contexts and they deduced from the literature review that academic IL instructional methods positions the learner as a tool user operating a distinct set of static skills directly related to academic literacy. The authors argued that IL in a workplace culture falls into four categories – communities of practice, mentoring/coaching, virtual knowledge sharing and electronic performance support systems, which employees require as a set of dynamic IL skills to effectively navigate them. The categories were clearly defined and discussed by Monge and Frisicaro-Pawlowski in light of the types of learning i.e. formal, non-formal and informal, experienced within the contexts of a 21st century workplace. To expedite a paradigm shift within the academic environment the authors outlined and discussed IBL, in conjunction with extensive and appropriate technologies, as a method to effectively incorporate IL skill sets that would seamlessly transition into a work environment. The clarity of this article, like Lloyd’s, has assisted me to redefine IL and realign this skill set as the linchpin for learners to actively access information and critically assess the relevance of material to establish habits of lifelong learners. Objectives of Commonwealth funded language, literacy and numeracy programs being offered in TAFE Queensland strongly supports the preparation of participants for the workforce and/or further study options and attaining IL strategies and skills would support learners in pursuing either outcome. Anecdotal evidence, which I have gathered during my teaching and consultancy career, strongly supports their argument for realigning IL skills to enable students to seamlessly transition from study/training to a workplace. Feedback from past students who articulated from LLN programs to formal study courses e.g. Aged Care and Nursing, then into workplaces noted the need for effective IL skills had not reduced on entering the different environments. Specifically they commented on the Inquiry Based Learning projects completed in my class as the basis for them developing and successfully implementing IL skills and strategies in their study and work. However, this article now has me returning to the drawing board to reassess the learning tasks I have developed to ensure they assist TAFE students acquire IL skills to support them in transitioning across learning domains and to become informed learners. These articles have clarified a number of points and demonstrated how I can develop Inquiry Based Learning projects which offer learners opportunities to develop skill sets and habits to traverse multiple learning landscapes and communities of practice. However, learning and skill development is reliant upon educators constructing frameworks which scaffold learning experiences and complement critical and collaborative pedagogies. Information literacy is an integral component of this scaffolding and in answering the question posed in the title of this blog, yes, it is a cherry on the cake of lifeline learning, but it must be supported by a strong foundation which reflects a critical and theoretically informed praxis for information learning.